The Powerkrush 90 is one of the largest static compactors in our range with a massive charge area and heavy duty structure designed for heavy industrial use and large bulky items. 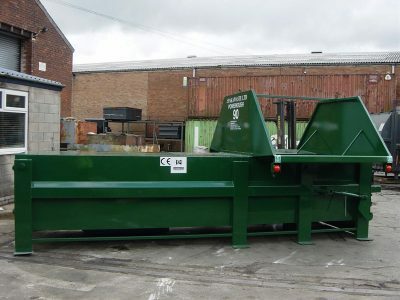 Heavy duty hoppers can be designed to suit individual loading applications. It is used in conjunction with a 40 cubic yard container. Find out more information & details on our equipment by contacting our specialist team today.